Meri Kirihimete! 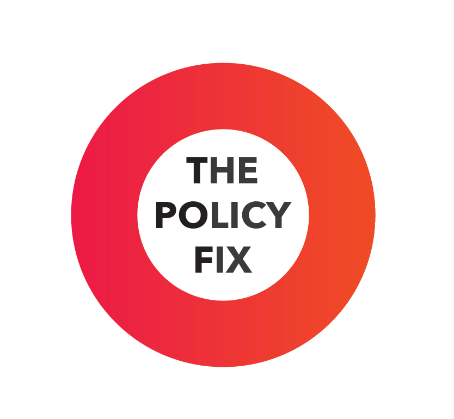 Welcome to The Policy Observatory newsletter for December 2018, our last newsletter for the year. What policy problem does your research address? Why should the public care about this? What policy directions do you recommend? What do New Zealanders think about inequality? That’s the question driving the recent Marsden-funded research of AUT’s Dr Peter Skilling. His research looks at what levels of income inequality New Zealanders think is reasonable, and investigates the dynamics of public conversations about inequality. He talks to The Policy Observatory’s Keri Mills about the results of his research. What are the problems caused by economic inequality in Aotearoa, and what can we do about it? Max Rashbrooke has written and edited books on wealth, inequality and the role of government, and he talks to The Policy Observatory’s Keri Mills about the state of inequality in Aotearoa today, and where we should go from here. Workplace inequality remains a challenge for diversity and inclusion. Ethnic pay gaps continue to disadvantage Māori, Pacific and Asian workers. Gender pay gaps have reduced over time in Aotearoa New Zealand, but equity has not yet been achieved. In an era of heightened awareness about gender and ethnic inequalities, what role can public policy and the state sector play to promote and encourage positive change? 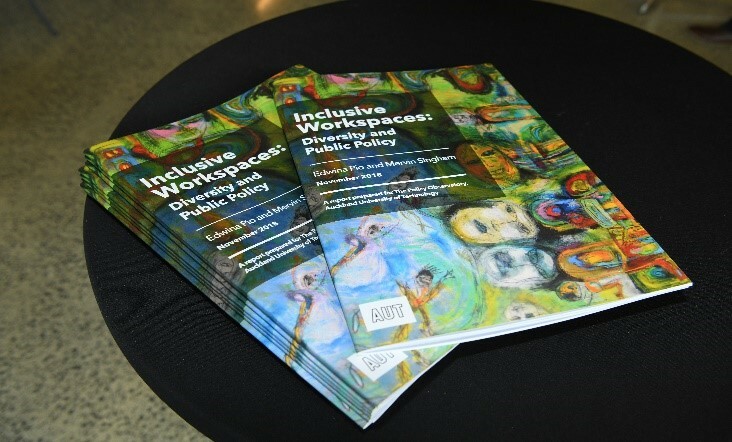 A new Policy Observatory report, Inclusive workspaces: Diversity and public policy, explores what the government can do to improve diversity outcomes in New Zealand. Written by Professor Edwina Pio, AUT’s University Director of Diversity, and Mervin Singham, presently the Executive Director of the Royal Commission of Inquiry into Historical Abuse in Care, the report explores the New Zealand context and international examples for public sector leadership in diversity and inclusion. A trial of online voting is proposed for the 2019 New Zealand local body elections, and this working paper is designed to provide some information on issues related to online voting. It is structured around problems and solutions: what problems do proponents hope online voting will solve? What do we know about whether it would actually solve these problems? And what new problems might online voting create? We finish the year with a flurry of Papers, including a conclusion to our armistice series, new Papers on local government reform, the fate of Archives New Zealand and the National Library inside the Department of Internal Affairs, and the fundamental shift in social policy that the Child and Youth Wellbeing Strategy represents. There are no compulsory topics in the New Zealand history curriculum; teachers have to cover certain skills and ideas, but not particular events. The theory behind teachers having full choice over what topics they teach is that it allows them to select topics they think will engage their students. This also allows teachers to avoid difficult subjects, as Rachel Rafferty explains. World War I commemorations tend to emphasise the narrative of noble sacrifice for the nation. But what about those who made a difference kind of sacrifice, for their belief in something transcending the nation: peace? Richard Jackson, Professor of Peace Studies at Otago University, discusses how we remember the New Zealanders who have protested against war and violence throughout our history. Restructuring in the public service is usually accompanied by the promise of benefits. Accountant Don Gilling looks back at the 2010 merger between Archives New Zealand, the National Library, and the Department of Internal Affairs, to ask whether the promises of efficiency gains and ‘future-proofing’ have come to pass. What he finds are opaque changes to budgets. To enshrine and define local government once and for all. By Christine Rose. Former local body politician Christine Rose writes about how local government’s focus is strongly mandated by central government – so what does the change of government last year mean? Will there be more autonomy for local government? Local government expert Jean Drage writes an extract from her longer report on how citizens and communities can ‘have a say’ in local government. In this paper she focuses on the size of territorial authorities and election processes. If you would like Briefing Papers direct to your email inbox, you can subscribe on a desktop computer. Go to http://briefingpapers.co.nz/subscribe/ and fill in your details.